Win or upgrade your 2019 membership. ’Tis the season of giving and the Saints have got free memberships up for grabs! 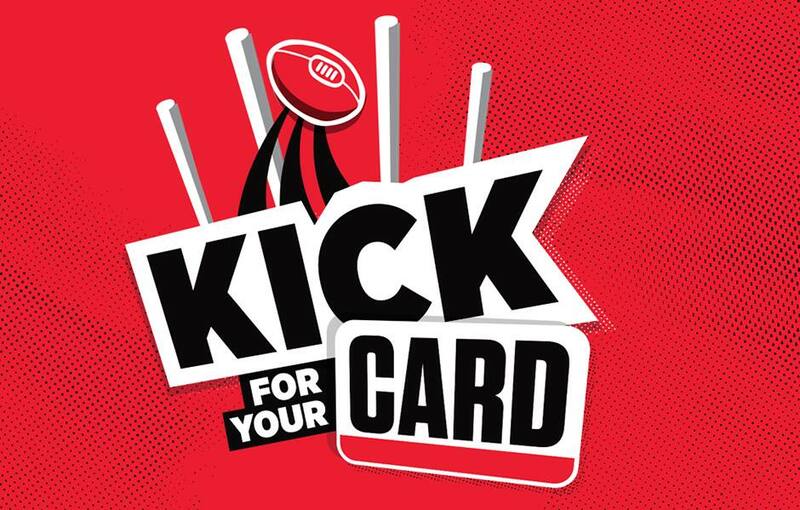 As part of the Christmas at RSEA Park event happening Saturday 15 December, fans will have the chance to win or upgrade their 2019 membership through the Kick for your Card competition. How do I register for Kick for Your Card? At the membership tent on the day. Where will I kick from? There will be a number of locations based on age groups to have your set shot from. How many memberships are up for grabs? There will be 10 lucky participants on the day. When will the names of the participants be drawn? Around 10:30am, so make sure to listen out for your name. If you’re selected, head to the membership tent no later than 10:45am. When will the competition take place? Around 11am. WIN: A corporate box for your and 10 friends. Are players kicking for members? No, it’s all up to you, so best of luck! I am already a 2019 member, what about me? You can still enter and win yourself a free upgrade for 2019. I wasn’t a member in 2018 nor have I ever been. Am I still eligible to participate? You will be given a 2019 full season general admission membership for free. This is valued at $218. I live interstate, how can I be involved? We understand you can’t be there so we’ve asked some of our coaches to kick on your behalf! 12 lucky interstate fans will be picked through a Facebook competition and held on Thursday 13. Head to the Saints Facebook page to enter. Only available to interstate members and supporters.